Colorful piano keys vector illustration, music instrument background with music notes. 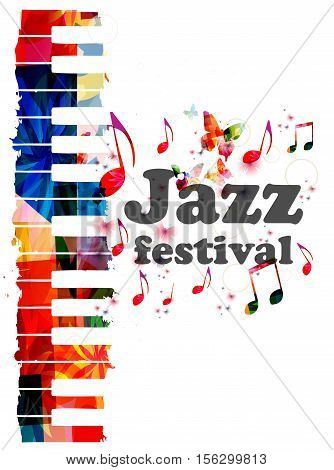 Jazz festival inscription. Jazz music concert poster. Jazz music lettering. Typographic music event invitation.